Today I’ve got a very rustic looking cookies for you that are inspired by my Chocolate and Hazelnut Teff Cake. 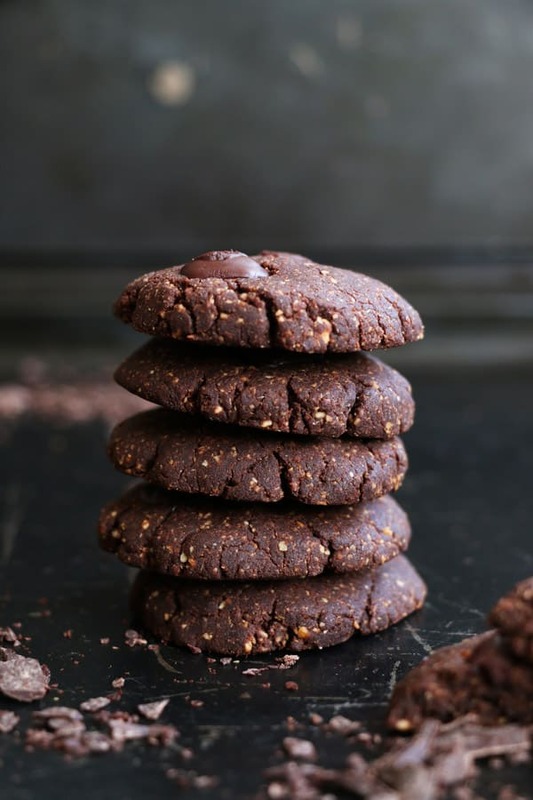 There’s something about chocolate, teff and hazelnut combination that I really love; I’ve really enjoyed the cake that I’ve made and I love these cookies. The ingredients are quite similar to the ones that I’ve used in the cake, but simplified. 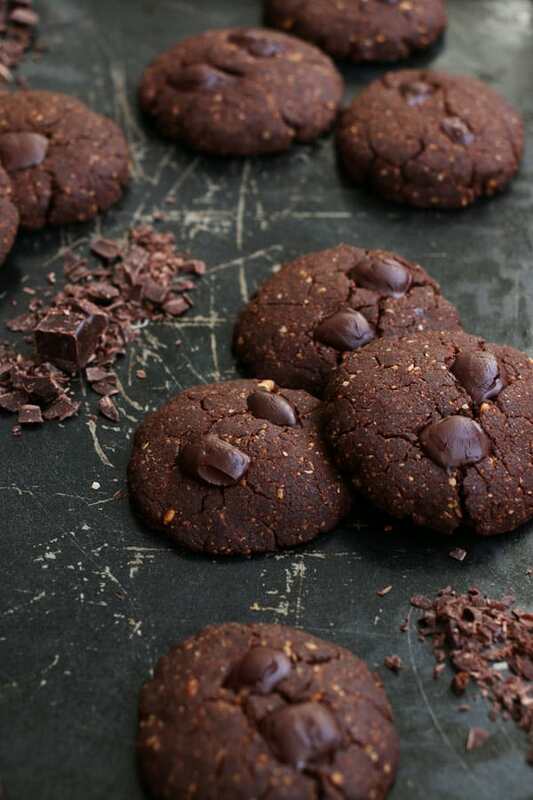 The cookies are dark, chocolaty and unusual tasting, naturally gluten-free and vegan. In a large bowl whisk together teff flour, ground hazelnuts, cacao, cardamom, soda and salt. Mash the banana and mix with melted coconut oil, maple syrup and vanilla. Add to the dry mix and mix everything together to form a dough. With your hands form about 18 small balls (about 1tbsp size) with a mixture and place onto lined baking sheet. Flatten gently with palm of your hand. Press in couple of pieces of chocolate if you like. Roasting hazelnuts is an additional step, but well worth the taste. You can roast hazelnuts in their skin and than remove the skin or buy blanched hazelnuts already. Preheat the oven to 180°C and arrange the hazelnuts on a baking sheet. Roast for 10-15 min stirring in between until the skin looks cracked. Remove from the oven and place hazelnuts onto a cotton towel and leave to cool. Bunch the towel and rub the hazelnuts inside the towel until the skin comes off. It's pretty messy:) remove from the towel and ground in a food processor or blender. These look so delicious and not too difficult to whip up – perfect! 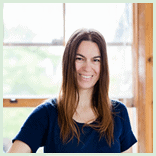 I found you via the Food Blogger Pro forum in the UK bloggers thread – lovely to connect :) You have a new fan! 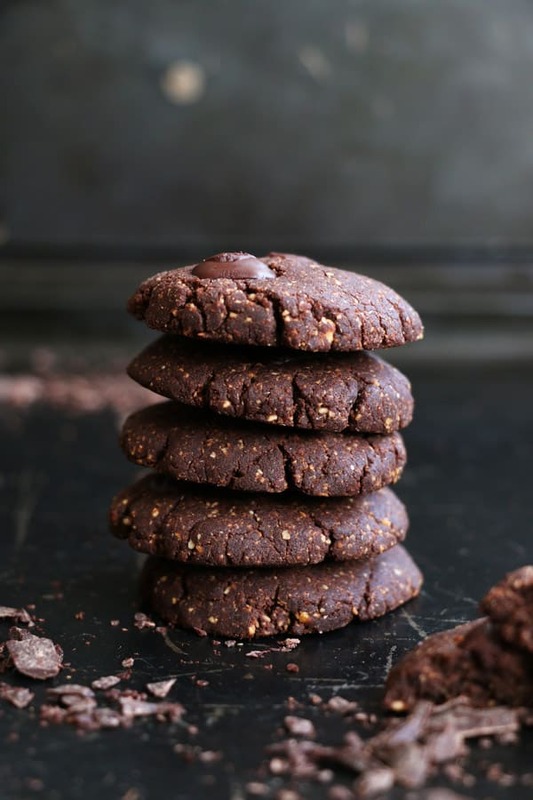 I love the hazelnuts and dark chocolate in the cookies. My twinsister and me just baked these! Sooo delicious :) The dough is also very yummy raw. We soaked the hazelnuts over night and roasted them afterwards, that worked very well. 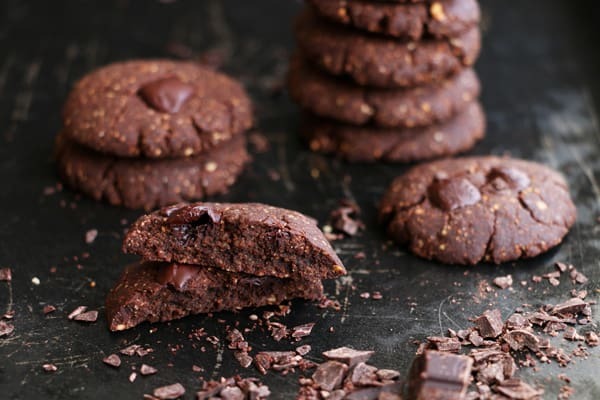 I’ve made these twice now and with the last batch being so large, I ended up using chocolate chips in only half of the cookie so the remainder could almost be a superfood snack. I found the filling teff and satisfying carob to be a perfect post workout treat. Which made me curious if you ever considered a variation on the above, one that would take the form of a ball for on the go?